Dehradun: Awareness program on the Basic Education Policy for Tibetans in Exile was organised by a trio team of Mr. Karma Chungdak, Mr. Migmar and Mr. Sangpo from the Tibetan Homes Foundation (THF) Mussoorie in the Tibetan schools and settlements in Dehradun. The THF has been fortunate enough to have received the opportunity to invite Ven. Prof. Samdhong Rinpoche to Mussoorie and Rajpur schools during his visit and talk at MKP College at Dehradun. 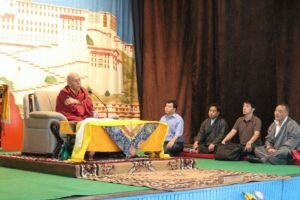 Prof. Samdhong Rinpoche blessed the staff and students of THF Mussoorie on 10 September 2017 with his enlightening talk on inculcating social responsibility and gratitude through education, correlating the same with the implementation of the BEP. Following the programme in Mussoorie, on 11 September, the THF Rajpur staff and students were equally blessed with his another wonderful talk on the proper implementation of the BEP during the teaching-learning process in and outside the classrooms. ‘The meaning of education and the aim of giving education’ as cited in the BEP were highlighted throughout the talk. His talk was again followed by question-answer session. 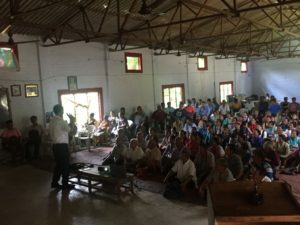 The BEP mentors’ team from the THF organised the awareness programme for three hours including Q &amp; A session, at the Potala community hall in Dekyiling Tibetan settlement on 13 September. The programme covered the main contents of the BEP, emphasising more on the meaning of education, purpose of Education and the aim of giving education. 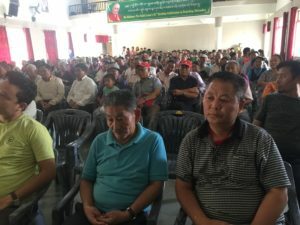 The programme was attended by over 250 parents and general public settled in and around Dekyiling, with the President of the local Tibetan assembly and the Settlement Officer Col. Norbu la as the guests. The ongoing BEP awareness programme is being initiated by DoE and funded by USAID through Tibet Fund.